With Epson's revolutionary ePOS technology, the printer plays a central role in your mobile or web based POS system – eliminating connectivity and printing hassles and providing an easy solution for POS developers. 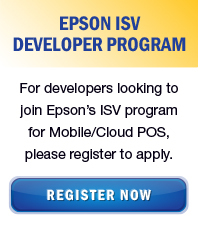 The Epson ISV program enables software developers to test their web/cloud and mobile based POS applications on Epson POS hardware. The objective is to create a wide range of POS applications that enable companies to increase sales, boost efficiency and manage customer retention, all while reducing costs. This collaboration will allow Epson and ISVs to build partnerships, expand the offering of mobile/cloud-based POS applications, and create new business opportunities. 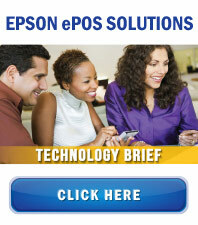 ✔ Being featured on Epson's website as Epson authorised ISV for ePOS solutions. ✔ Being referred to customers by Epson's sales force. 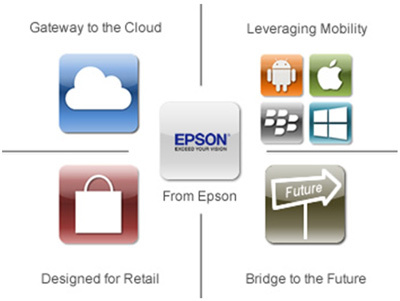 ✔ Technical and pre-sales support from Epson to drive the next generation of mobile and web-based POS solutions. ✔ Access to Epson software development kits, utilities, manuals, etc. ✔ Access to purchase Epson POS hardware and options at special prices for evaluation. ✔ Eligible for special pricing on projects and tenders. Do you want to promote your mobile/cloud-based application? To be part of the program, your application must be approved by Epson. Please register your details to apply. Here you can download drivers, development kits, utilities and manuals for Epson TM Series (POS printers, label printers, receipt printers, mobile printers, cheque scanners), DM Series (customer displays) and mini printer mechanisms.